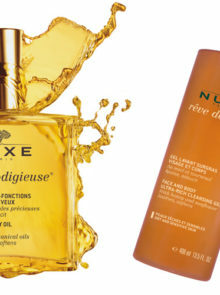 Want to know which moisturiser, also known as the 24-hour miracle cream, is sold every 20 seconds in France? Hailed as one of the best moisturisers on the market by professional make-up artists and celebrities, we just had to find out more about the iconic Embryolisse Lait-Crème Concentré. The French sure know how to live well and age well. In fact, according to researchers, even though the French often indulge in fine wine, rich cheeses and freshly baked baguettes, they still have one of the lowest rates of obesity and heart disease in the world. But it’s not just good food and drinks that the French have mastered – they’ve also understood the foundations of good skincare. While some argue that French women simply have good genes, research has shown that the French don’t see ‘pampering the skin’ as a luxury, for them, it’s a necessity. Also, the French don’t skimp on the best quality skincare products, they find a routine that works for them and stick to it. And some products have fast become a cult classic in France. For instance, one bottle of the Embryolisse Lait-Crème Concentré sells every 20 seconds! This 24-hour miracle cream was first developed in a Parisian hospital by a physician who wanted a product that lived up to the expectations and standards of the industry. What makes Embryolisse Lait-Crème Concentré so popular? The Embryolisse Lait-Crème Concentré has so many purposes, there’s a reason why it’s called a 24-hour miracle cream. From plumping, smoothing and softening the skin, there’s little this moisturiser can’t do. 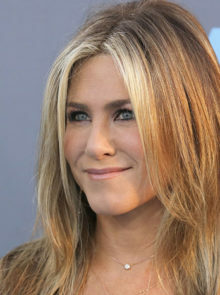 A firm staple in most women’s handbags, it can also be used by the whole family as it acts as a primer, moisturiser, make-up remover, an after-shave cream, a repairing face mask and a baby-care cream. And at around R650 for a 75ml bottle, it lasts long too. 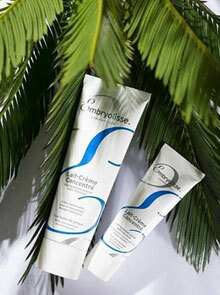 When is the best time to use Embryolisse Lait-Crème Concentré? According to Embryolisse, this moisturiser will make any signs of dryness or discomfort disappear and leave the skin feeling soft, radiant and revitalised. This makes it ideal to use in winter, or in dry conditions – even in the office with an aircon or heater is constantly on the go! This multi-purpose product is also great to use on holiday as it doubles up as a body moisturiser too (a little goes a long way), so you’ll only need to pack one product in your hand luggage. How should I use this moisturiser? The cream should be applied morning and/or evening to a clean face. To ensure it penetrates properly, massage a little gently into your skin and give it time to sink in.